Looking For A New or Used Ford Engine? 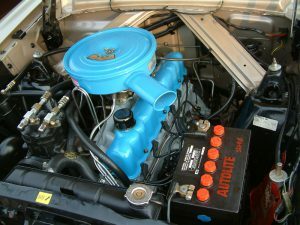 Seeking Ford engines for sale? Let us assist you in finding a second-hand Ford engine speedily! Once you give us a call or submit the on-line form, your request will get directed quickly onto a vast group of Ford scrap yards, re-manufacturers, salvage yards and Ford engine importers. Just select the applicable vehicle company enter your automobile information and complete the form. On the other hand give us a call! Now simply take it easy and await the fitting quotations to arrive to you via email or telephone. Take note we really do not promise any of the suppliers’ engines, actions or services. looking for a Ford F201 crank shaft, 1998 year model in the Cape Town area. looking for a complete second-hand engine on an Ford Icon 1.6, in the Johannesburg area. looking for a complete 2nd hand or new engine for a Ford T6, 3.2 Diesel engine in the Witbank area. looking for a Ford duratec 1.4i complete engine in the North West area please. DOES IT COME WITH A DYNA CERTIFICATE? Hearing that you have a blown or seized engine for your Ford can be some devastating news, especially when you don’t have a lot of money. Your reaction is probably one of hopelessness, but you don’t have to be without hope. You can find Ford engines for sale rather quickly, and the sellers may be offering them at a discounted price. You may be able to get exactly what you need from engine importers in South Africa. Here is some additional information and an explanation as to why you don’t’ have to lose any sleep over your motor needing a replacement. You have many valid reasons to deal with us on your engine replacement issue. The main reason is that we work with a network of Ford engine importers. You’re not just limited to the manufacturer, and you don’t necessarily have to buy a brand new engine to have a running vehicle. You can choose an affordable used motor from engine importers South Africa and do just fine with that. We work directly with the engine suppliers, so you don’t have to worry about a pesky middle man. The middle man is always the most frustrating part of a process when you are trying to get that process finished quickly. Fortunately, with us, you can eliminate that unneeded middle man and get right down to business. You will sure get the best price on Ford motors because we work with scrap yards and importers. Scrap yards have a variety of car parts that you may need for your vehicle. There’s no need to get rid of your first just because of a pesky motor when you could have a replacement motor in no time. In fact, you could probably have it today if you took the time to request it. Thousands of vehicular parts are stored up for situations just like yours. 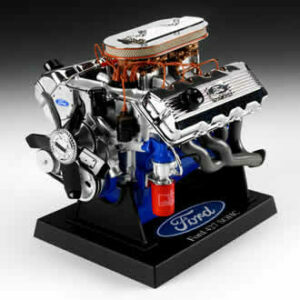 If you’re ready to find those used Ford engines that you need, then please complete a short form. Someone will be able to connect you with the goods immediately. The faster you contact us, the faster someone can get you connected to some people who have high-quality Ford engines for sale. Just make sure that you complete your inquiry using the appropriate information such as the make, model and year of your car. That will make it easier for the specialists to get you connected to what you need. After you submit the form, you will receive everything that you need to succeed. You will get a list of suppliers that are listed and where they are on the map. You can then choose the one that you want to deal with. We recommend that you compare more than so that you can be sure you are making a good choice for yourself. That’s it. Once you get the necessary information, you can go ahead and schedule an amazing deal. It really is that simple to keep your Ford in pristine condition. Complete a short form now for some additional information about your desired engine.